At Marlon's House you will be pleased to find a warm and friendly reception. With clean rooms, a peaceful courtyard for your complementary breakfast, and a rooftop terrace to enjoy coffee or coca tea, this is the perfect place to unwind while travelling on the go. 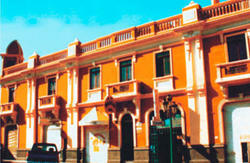 Marlon's House in Arequipa is located on a quiet street just a few blocks from the center, close to all the museums, cathedrals, restaurants, and nightlife. The staff is made up of Marlon's friends and family who speak English as well as Spanish and are very knowledgeable about any questions you might have. Do you have any plans? Because at Marlon's House one of our staff can assist you to plan excursions, volcano treks, and all-inclusive offers to give you the best experience possible at low-cost. There is so much to do in Peru! So whether you're a group, couple, or lone traveller come to Marlon's House in Arequipa, Cuzco, or Puno and plan your itinerary. This new Marlons House in Arequipa, will ensure you have an unforgettable stay in Arequipa. They are knowledgeable about the city and surrounding areas, and can help plan your time to ensure you make the most of your stay. Marlons Travel service can assist you with planning and booking experiences such as trips to Colca canyon trek or tourist bus tour and also misty climbing ,river rafting, Machu Picchu and the Sacred Valley, Jungle Treks, City Tours, Train/Bus/Flight reservations and more. We can help you to make the most of this exciting and memorable trip, giving you the time and freedom to enjoy without the worry of the organization. Our aim is to make your stay as comfortable as possible while you are here and to help you enjoy a taste of family life while staying at our property. 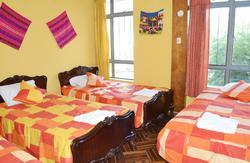 Marlons House Arequipa is located exactly in old San Lazaro Barrio. Only a few blocks from San Francisco plaza and three blocks (straight down the road) from the beautiful, busy Plaza de Armas and even closer to Restaurant ,pub,bar,museums.supermarket. Also, the huge city market is just around the corner! Marlons House is located so perfectly it doesnt take longer than 10 minutes to walk anywhere. By taxi, 6 soles or less will get you anywhere in Arequipa, including the airport, bus or train station. At Marlons House Arequipa guests have a wide choice of rooms, from dorms to private doubles, triples, doubles, share baths and some with ensuites and TV with full cable service. All of our rooms are secure, clean, spacious and comfortable with fitted wardrobes, new cosy beds and warm blankets. You can also enjoy hot showers with fluffy towels provided. 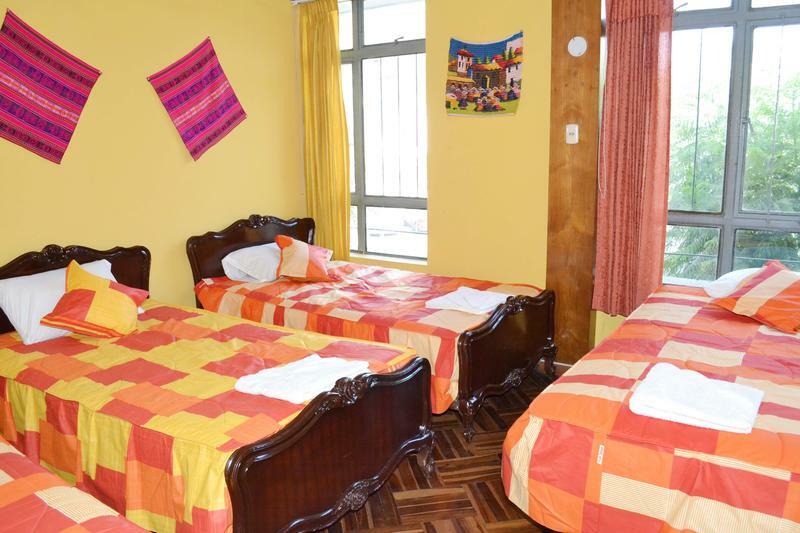 Marlons House Arequipa Offer to you; Free internet,wireless, laundry service, kitchen access, hot wter with solar pannels, fluffy towels, breakfast, security box, luggage storage.pick up service from the bus terminal at any time. Not to mention, Marlons Travel is a tour agency (Marlon's Travel) located right in the house, it is reliable and can arrange any adventure in Peru making your planning convenient and worry free at great prices! Comfortable Rooms / Hot Water 24 Hours / English Spoken / Luggage Storage / Free Internet / Reliable Tourist Information / Security Box & Laundry Facilities. From the Airport: Is around 20 minutes by taxi because our place is in the down town and the airport is away of the city.price is around 20.00 soles for the transfer. From the Bus Terminal: Its take around 15 minutes from the bus terminal to the down town the rate for this service is 5.00 soles . In cases you wanna get the pick service just let us know to our email inbox to pick you up from any place.